This guide is meant to be a top-level overview of the types of products that Green Cuisine sells. If you have questions, or need more information, your friendly and knowledgeable Green Cuisine Cannabis Specialist will be more than happy to help you find answers. Each product is clearly labeled with its THC and CBD content in milligrams, both per package and per serving.Read labels and dose carefully. New consumers should start with 2-5mg of THC. Wait two hours to assess the full effect before taking more.Edibles can take from 30-120 minutes to take effect, and the effect can last 4-12 hours. An empty stomach decreases time to onset and increases intensity. Most people look at the strain name, plant type (indica/sativa) and potency (THC/CBD content) when buying flower. Flower is sold by strain and weight. Under current California state law, individuals can legally buy one ounce of flower per day. When you visit the dispensary and have decided what you’d like to buy, say something like, “I’ll take an eighth of Lemon Cake OG.” That’s it! Easy, right? Flower can be smoked through a pipe, bong, or joint. It can also be vaporized through a variety of accessories.You can purchase flower by weight—gram, eighth or ounce—and strain. (An eighth = 3.5 grams; an ounce = 28.5 grams. )Under current California state law, adult-use customers can legally buy up to one ounce of flower per day. Topical products are not intended to produce the psychoactive effect usually associated with more typical ways of consuming cannabis.THC and CBD amounts are usually indicated in a ratio on topical products.Some topicals are formulated to create a hot or cold sensation when applied to the skin. 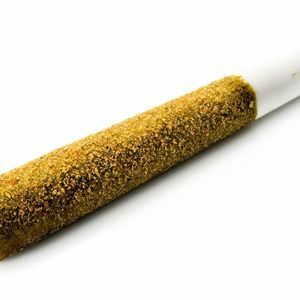 Pre-rolls typically come in one-gram or half-gram sizes, are sold individually and in multi-packs, and feature different strains and blends.Price varies by the size and number of pre-rolls, and the quality of the cannabis inside them.Check the package information for THC and CBD content, which varies among different brands and strains. Cannabis concentrates are several times stronger than cannabis flowers. They are made by separating the tiny crystals that sit on the surface of the plant—trichomes— from the underlying, inert vegetable material. Most concentrates are made with solvents like butane, but some are made simply with heat, pressure and water. Concentrates can be found in many different forms including shatter, wax, rosin and sauce. All concentrates at Green Cuisine have been rigorously tested to ensure they are free of any residual solvents. 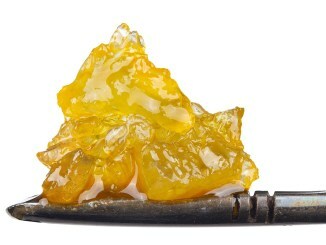 Due to their high potency, concentrates are often reserved for a more experienced cannabis consumer.By current California state law, adult-use customers are allowed to buy up to 8 grams of concentrates per day.Cannabis concentrates are usually consumed through a portable device or stationary “dab” rig that vaporizes the concentrate at very high temperatures. They can also be mixed with flower to supercharge a bowl or pre-roll. Vape pens and cartridges are sold by strain, extract type, plant category and potency. Some brands claim specific effects but these claims are not evidence based.THC and CBD levels are listed on the package, usually in percentages or ratios.Vape pens are an easy way to control your cannabis intake, particularly if you’re interested in microdosing. In fact, some vape pens come with a built-in indicator to help ensure a reliable dose with each use. Sublinguals are dissolved on, or under, the tongue. Many of these products have a high ratio of CBD and have been reported to assist with anxiety and help control seizures in children. Many tinctures do contain THC, so it is important to read the label for THC/CBD amount and recommended consumption instructions. Ask a Green Cuisine Cannabis Consultant for more information. Many tinctures are CBD-rich, but some contain THC. Read the label carefully and follow consumption instructions. Remember to go low and slow at first.Taken sublingually, tinctures are a great alternative to inhaled cannabis. They have almost the same effect profile, without the wear and tear on your lungs.Tinctures are discreet. Nobody needs to know what’s in the little bottle—unless you tell them. The cannabis plant can contain up to 150 active ingredients, known as cannabinoids. THC and CBD are the most commonly known, and all Green Cuisine products are tested and labeled with their content. These test results indicate the strength and nature of the likely effect. THC-rich strains are the most euphoric. CBD-rich strains are more restorative, with less euphoria or none at all. Many consumers prefer the balanced effect of a 1:1 ratio—equal parts THC and CBD. After several decades of research, scientists studying the effects of marijuana made several important discoveries. Not only did they identify the active ingredient in marijuana, they also discovered where and how it works in the brain—via a new system they called the endocannabinoid (EC) system. The EC system—named after the marijuana plant Cannabis sativa and its active ingredient delta-9-tetrahydrocannabinol (THC)—is a unique communications system in the brain and body that affects many important functions, including how a person feels, moves, and reacts. 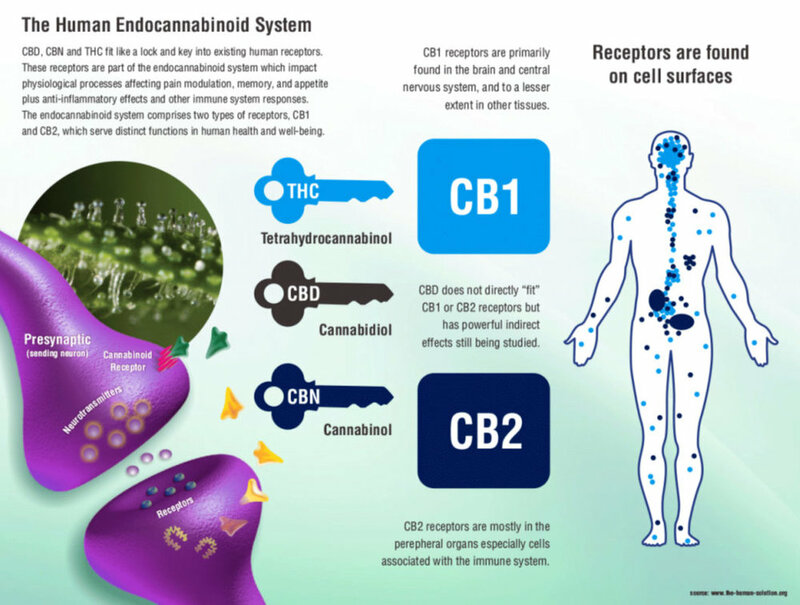 The natural chemicals produced by the body that interact within the EC system are called cannabinoids, and like THC, they interact with receptors to regulate these important body functions. So what makes the EC system unique and how does THC’s impact on this system affect a person’s memory, risk for accidents, and even addiction? Brain cells (neurons) communicate with each other and with the rest of the body by sending chemical “messages.” These messages help coordinate and regulate everything we feel, think, and do. Typically, the chemicals (called neurotransmitters) are released from a neuron (a presynaptic cell), travel across a small gap (the synapse), and then attach to specific receptors located on a nearby neuron (postsynaptic cell). This spurs the receiving neuron into action, triggering a set of events that allows the message to be passed along. But the EC system communicates its messages in a different way because it works “backward.” When the postsynaptic neuron is activated, cannabinoids (chemical messengers of the EC system) are made “on demand” from lipid precursors (fat cells) already present in the neuron. Then they are released from that cell and travel backward to the presynaptic neuron, where they attach to cannabinoid receptors. So why is this important? Since cannabinoids act on presynaptic cells, they can control what happens next when these cells are activated. In general, cannabinoids function like a “dimmer switch” for presynaptic neurons, limiting the amount of neurotransmitter (e.g., dopamine) that gets released, which in turn affects how messages are sent, received, and processed by the cell. A dose is equivalent to a serving size. California defines a dose of cannabis edibles as a maximum of 10mg of THC. Microdosing is the practice of consuming very small doses that are barely perceptible by the user. Be sure to ask a Green Cuisine Cannabis Consultant what dosage is right for you based on your tolerance and experience. Green Cuisine offers many different accessories, including vaporizer batteries and rolling papers. If you have questions about how an accessory works, we have answers. For over a decade, Green Cuisine has been a leader in developing quality and safety standards for cannabis products. Any and all products for sale at Green Cuisine have undergone rigorous lab testing to ensure that they are free of dangerous or undesirable materials, like pesticides, molds and fungus. 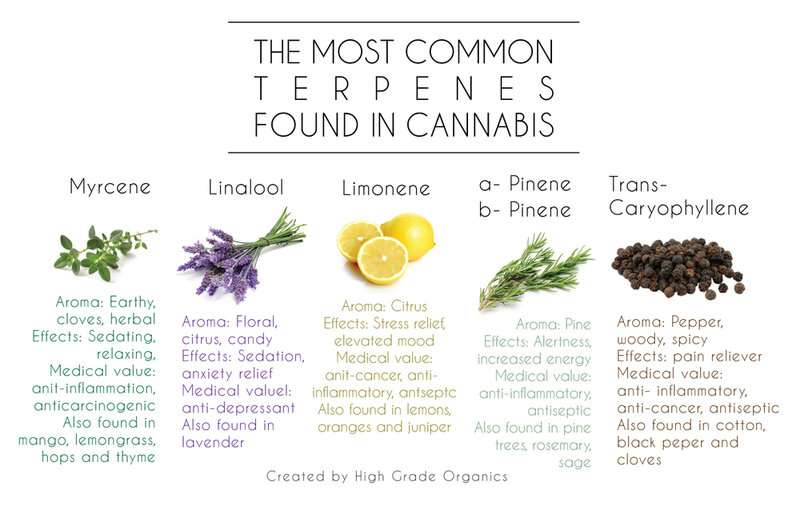 In additional, products are also tested for potency and terpene content. Potency is reflected in percentage of THC and CBD.